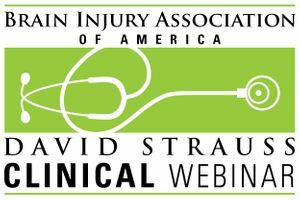 A David Strauss Memorial Clinical Lecture webinar featuring Scott Peters, M.S., OTR/L. Aired live July11, 2018. Scott Peters, M.S., OTR/L, Clinical Director of Neurorehabilitation and Neurobehavior at ReMed, discusses a multi-faceted approach to pain management for individuals with brain injury.